To coach is to change lives and careers through a collaborative journey. Aerial Leadership is built on the belief that, with the right framework and a trusted partner, business professionals can and will reach new heights. We believe that increased revenue, increased market share, and increased brand value can only be ignited by leaders with clarity, intention and an action plan. Together, we work with clients to examine opportunities to advance their careers, explore new options, find more meaning and balance in work and life, and reach their highest leadership potential. We are sometimes hired directly by corporate executives, and more often by the organizations that employ them. We focus on a discovery process of identifying values, interests, passions and strengths, and then helping clients create a vision and plan for an ideal career and life. Together, we will build a collaborative relationship that provides positivity, accountability and ongoing support to accelerate your development and allow you to achieve your highest priorities and goals. Who chooses an executive coach? The executive coaching process can be meaningful and impactful for professionals at any stage of their careers, but particularly for those who are at the C-level or who are fully established in their areas of functional expertise (e.g., finance, IT, marketing, operations, engineering, HR, sales) and are now ready to work in earnest on their “next-level” career goals, their leadership abilities, and their ability to think more strategically. Typically, we work with individuals who are director level and above at Fortune 500 companies, and are engaged by their corporation. 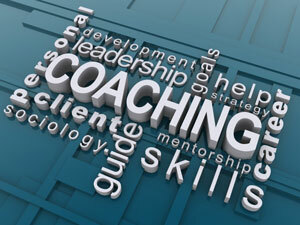 The coaching process covers three main areas: clarity, exploration and action planning. Our coaching programs are typically 4-6 months long (though individuals often choose to extend coaching beyond the initial period). Through Aerial Leadership’s coaching process, you will discover how to tap into your leadership strengths and your unique capabilities, and leverage these to grow and develop in new areas and achieve your career goals. Our coaching process assists leaders in focusing on their most important priorities as well as enhancing their leadership style so they are in alignment with their vision and purpose. The CLARIFY stage involves the use of at least two leadership assessments (to be chosen by coach and client, or to align with company-specific assessments that a client’s organization uses and values). We seek to get a holistic picture of what you are good at, what you are passionate about, and what is your dominant leadership style. This process helps you to uncover what makes you unique and to get clarity about your career goals. During the EXPLORE stage, we examine your strengths and styles in light of your unique capabilities and your most important values. The objective is to explore options on how you can gain alignment with your values, and focus your time and energy on your unique capabilities while pursuing your ideal career goals. At the ACT phase, the coaching focuses on action planning and implementation. Together, we work to build upon your strengths and create a path forward to advance your career to take steps to explore a new one.